Australian bantamweight contender Jason ‘The Smooth One’ Moloney 17-0 (14) is determined to prove the oddsmakers wrong when he clashes with IBF champion Emmanuel Rodriguez 18-0 (12) in the quarterfinals of the World Boxing Super Series (WBSS) this weekend. The undefeated 27-year-old, who will be having his first fight abroad when he enters the ring at the CFE Arena in Orlando, Florida this Saturday night, says he has prepared for this fight like any other of his career. “I think it’s funny when people get to a world title shot and then ‘take things to another level’,” Moloney said to Maxboxing.com. “I’ve prepared for every fight of my career like it was a world title fight and me and my team have a system that we follow which works. Why would I start changing things now? 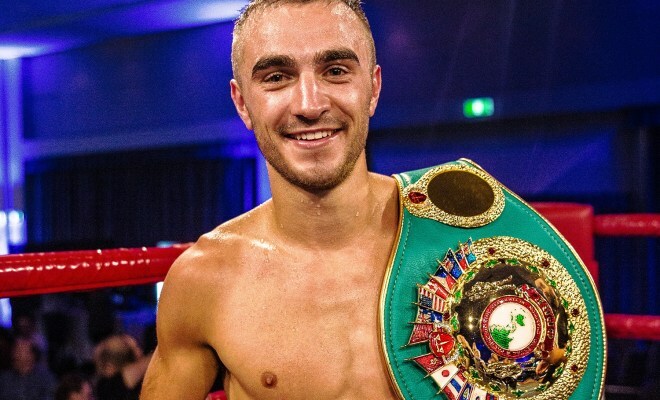 Moloney arrived in the United States three weeks three weeks ahead of the biggest fight of his career to acclimatise to the conditions and recover from jetlag. “We came over here three weeks early to settle in and acclimatise,” said Moloney. “Obviously that came at a cost financially, but we are willing to do whatever it takes to give myself the best possible chance of winning this fight. If Moloney is victorious he will face Japanese wrecking ball Naoya Inoue 17-0 (15) in the semi-final round of the WBSS. The tournament favourite made a statement in his quarterfinal fight a fortnight ago when he despatched experienced campaigner Juan Carlos Payano 20-2 (9) in a single round. “Yes, I watched Inoue vs Payano and obviously Inoue caught him with a great shot early. That can happen, it’s boxing,” said Moloney.